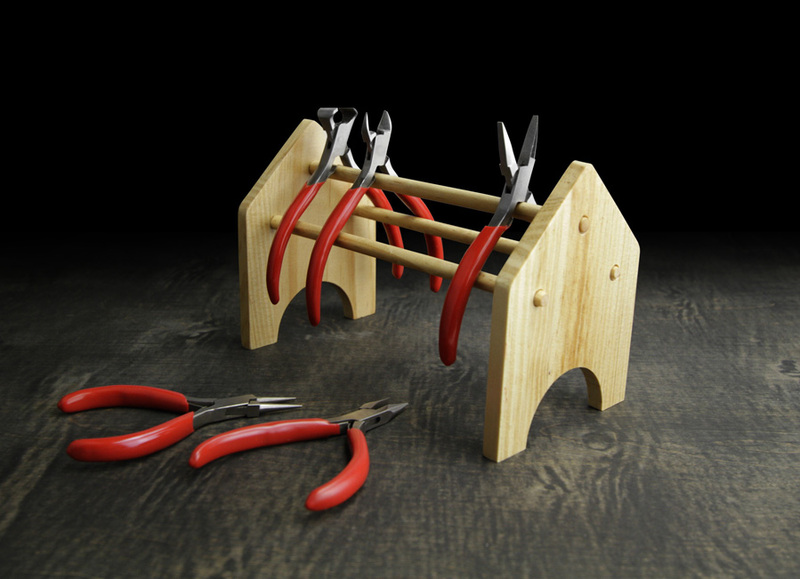 This simple wooden rack will hold up to 10 pairs of pliers. Inexpensive and convenient, keeping pliers and cutters handy and off the bench. Plier NOT INCLUDED*** Overall dimension: 7 7/8" X 5" X 4"